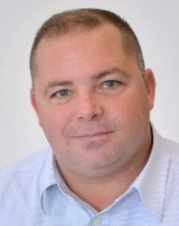 Drew Aloisi has joined the Mickey Truck Bodies Sales Team as Director of National Accounts, responsible for sales of van bodies and beverage bodies to national accounts. He reports to Tom Arland, Corporate VP of Sales. “Drew has over eight years of national sales management experience in the specialty vehicle and up-fit industries, and has the experience, energy and dedication needed to grow business at a national level,” says Tom. Most recently Drew was Director of Distributor Development at Tallmadge, OH-based Waltco Lift Corp., a major manufacturer of lift gates and a Mickey supplier. Before that he was Director of Sales for Schiller Grounds Care Inc., in Southampton, PA, a global manufacturer of high performance lawn and garden products. He earned a BSBA degree in Business & Marketing from John Carroll University in Cleveland, OH.